Do you like the sweetness of fruit, but hate that you sometimes get a non-ripe (read: not sweet) piece? Or you take it to work and it gets all bruised in your bag? Well Crispy Fruit is the perfect solution to that. 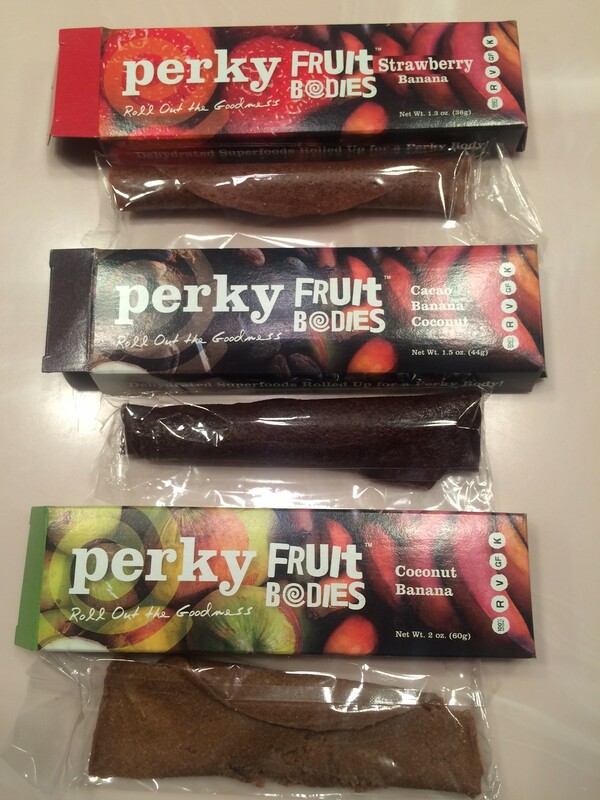 Freeze dried fruit, with nothing added, and comes in a ton of flavors. 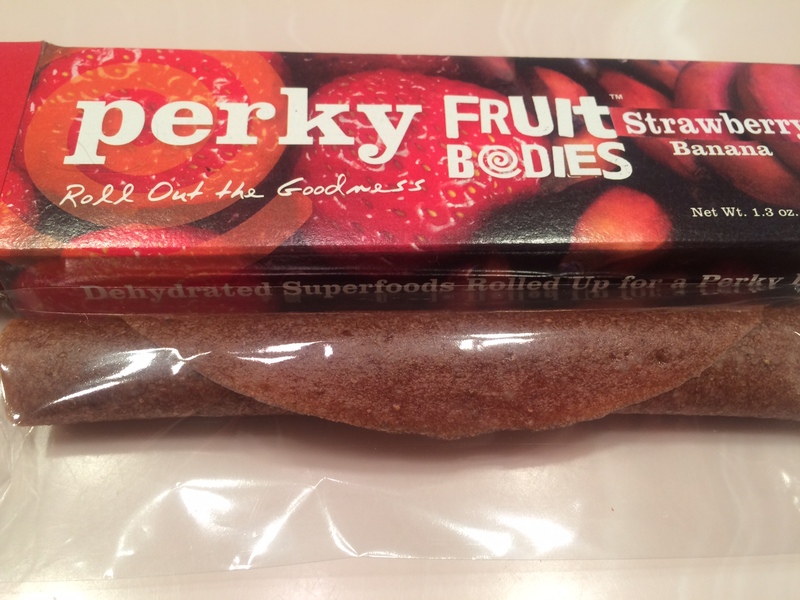 I happen to be a fan of freeze dried fruit- it’s JUST fruit, but not as caloric as dried fruit. It’s puffy and soft but often sweet and flavorful. 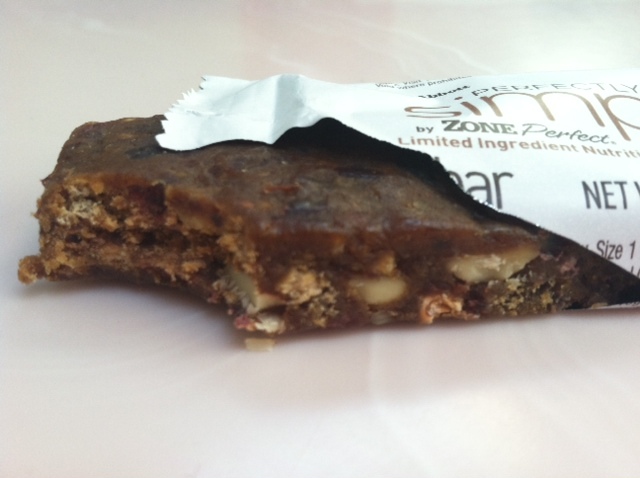 The portions are small, so this is good when you are craving something sweet that at 30-70 calories a bag or so, will not break your diet! 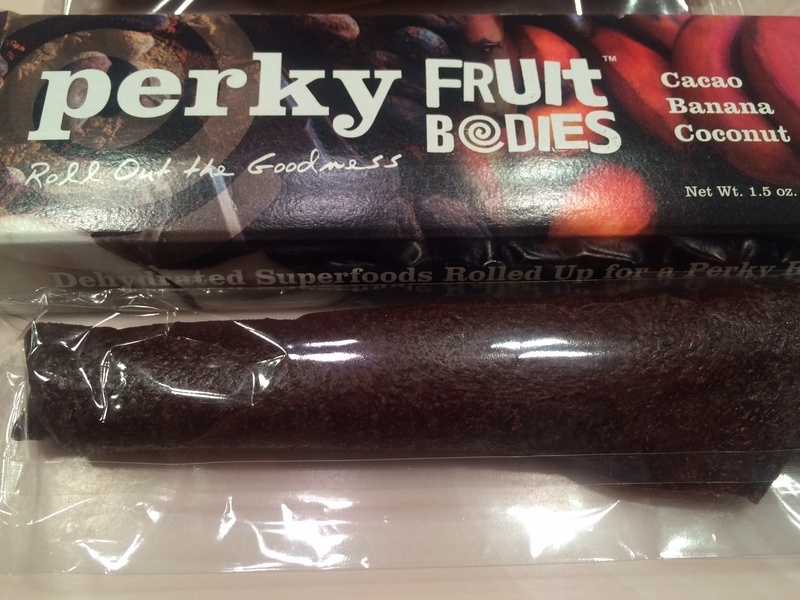 Some fruit should just not be freeze dried and this might be one of the. It was sweet but almost had a salty taste to it…which was rather offputting to me. It had a very light crunch, and dissolved in my mouth. 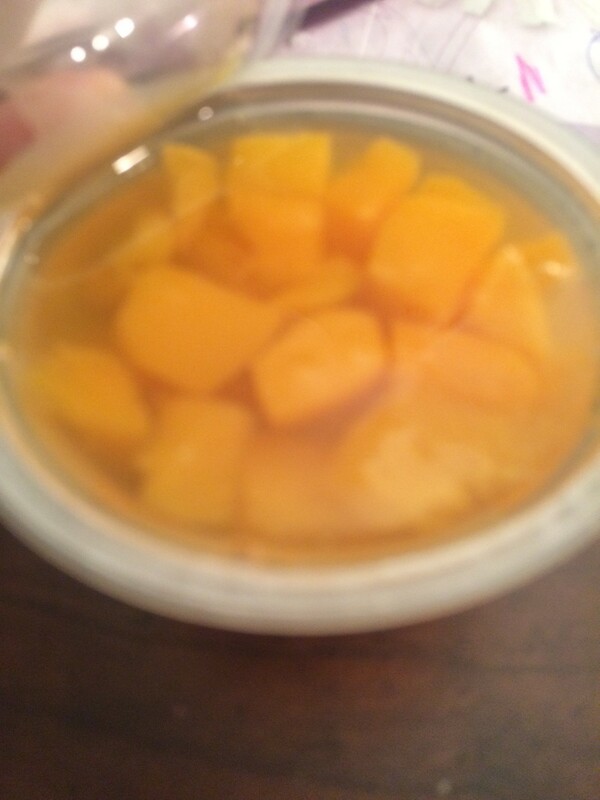 However, it was VERY ripe in taste (which I do not like even in fresh Cantaloupe) so, NOT my favorite. This one was Mild in flavor, easily melted in my mouth, and was lightly sweet. Again, tastes like very ripe pear due to sweetness level, and was overall enjoyable. 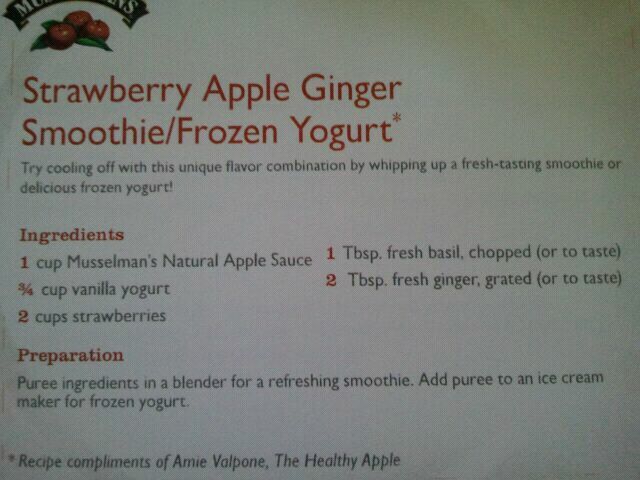 Apple chunks were super “light” and “crunchy” but “soft” if that makes sense. 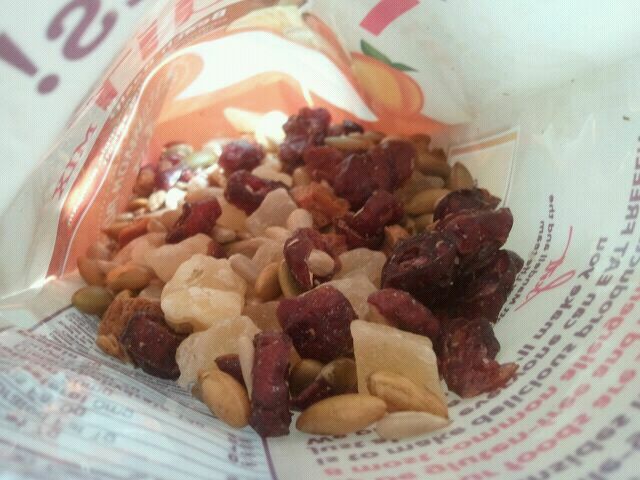 They had the sweetness of dried apple, but a bit more mild. 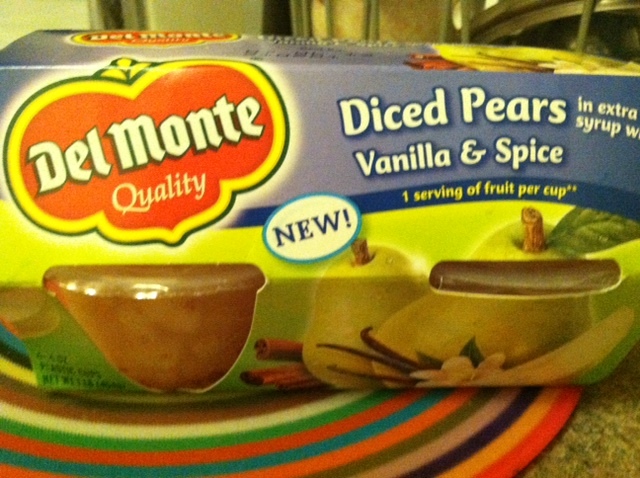 Not my favorite, and apples generally are my favorite fruit, but just didn’t have any strong flavor to them that I was craving. This one was great! 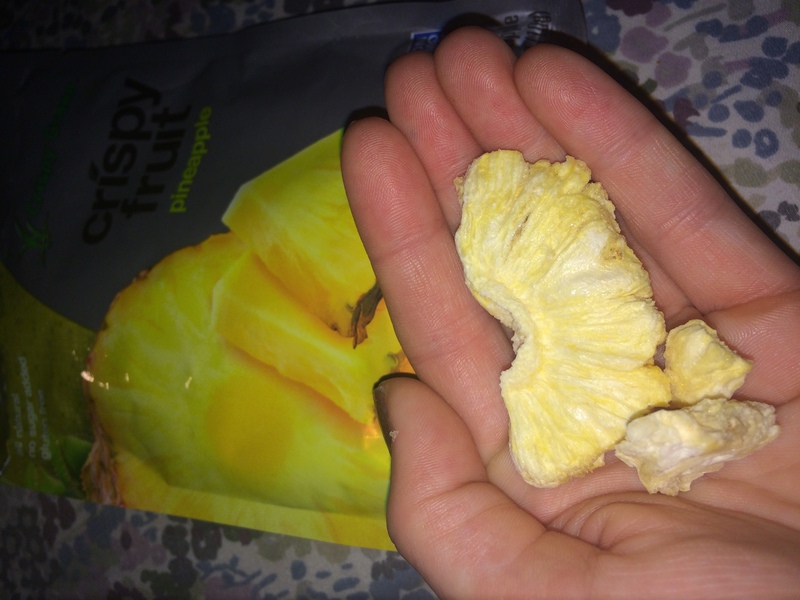 Big chunks of mango, sweet and crispy with a nice little crunch. Sometimes when you buy mango, you get a really unripe or sour one, and that just ruins the whole experience. 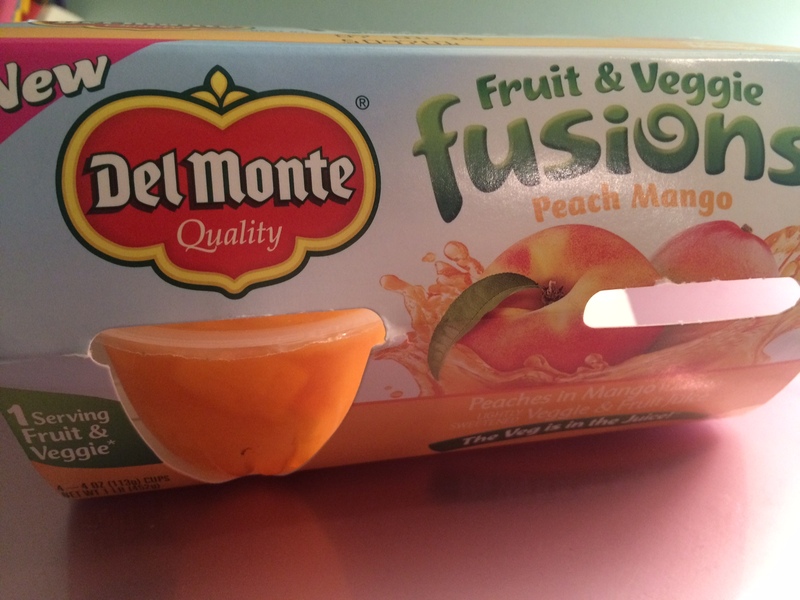 This freeze dried version provides all of the sweetness without the mess or sour aspect mango can sometimes have. Really liked this one. 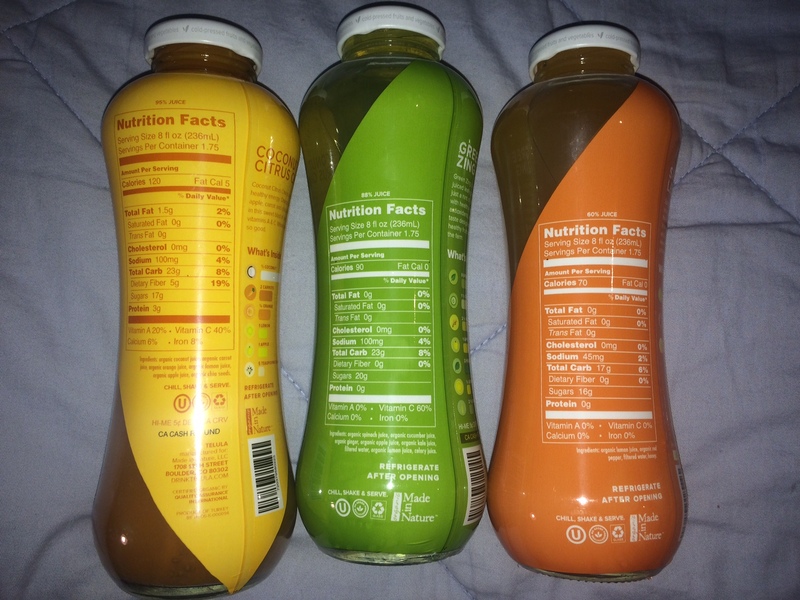 I’ll be honest, Tangerine was the last one I tried because I thought I would hate it, but it was actually amazing. It came in wedges, just like you would eat with a tangerine, and was really light and crispy. 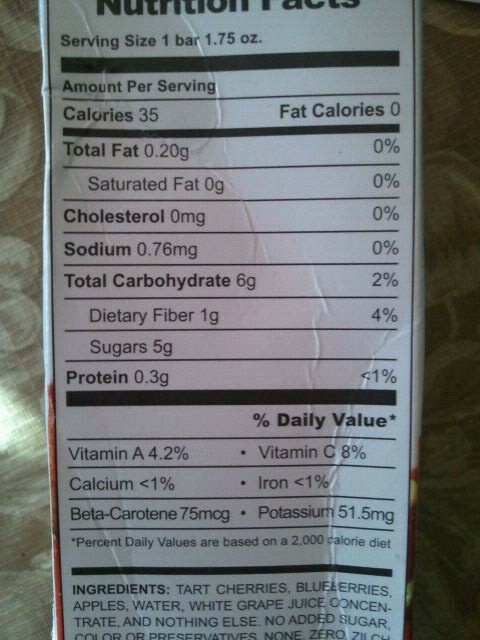 One of the reasons I don’t like Tangerines is because of the pulp issue, but obviously not a concern here. These were amazingly sweet with just a hint of tang. Definitely liked these. So that just about sums it up. Clearly, I enjoyed (almost) all of these. The portions were great for a snack, and sweet enough to fix a sweet tooth craving without any added sugar. 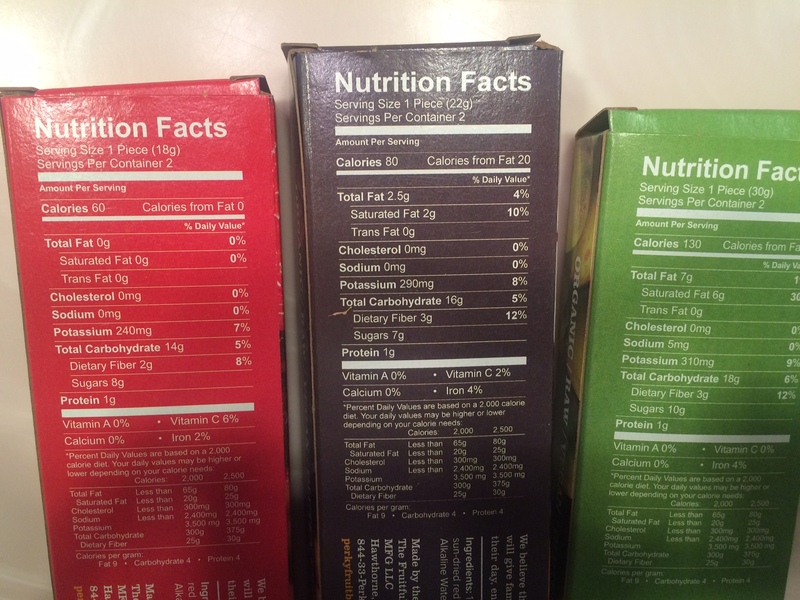 They are all natural, gluten free and NON-GMO verified. 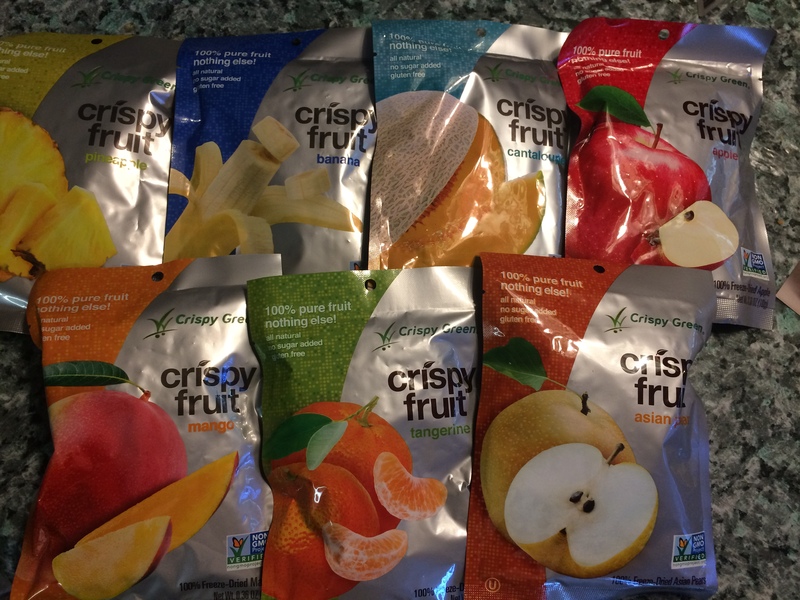 I LOVE freeze dried fruit! Especially when there is no sugar or flavorings added, and you get to enjoy the goodness of fruit, with just a crunchy twist! 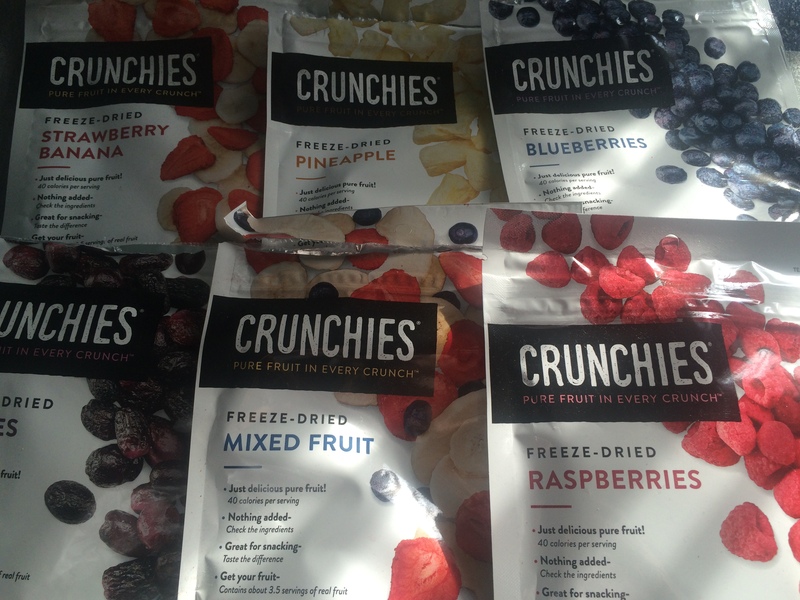 I was sent a few bags of freeze dried fruit from Crunchies. 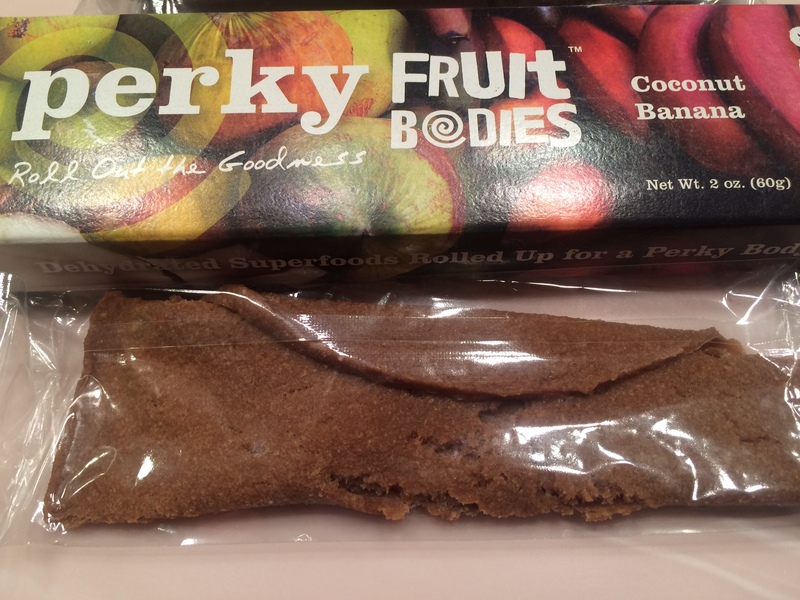 These snacks are gluten free, NON-GMO certified, and have NOTHING added, just the fruit! 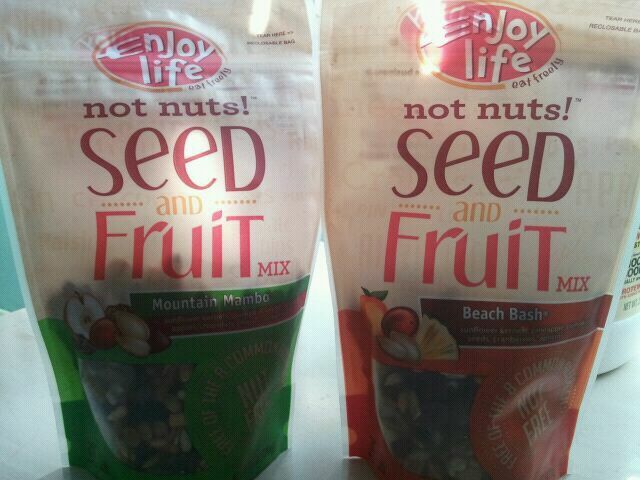 Each bag comes with a zipper to keep fresh, and each bag contains about 3 servings of fruit. 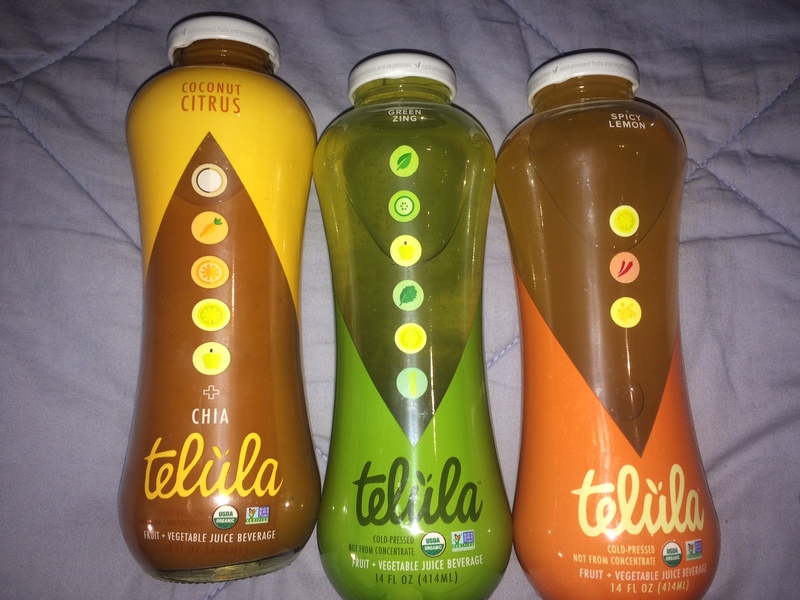 They come in Strawberry, Grape, Raspberry, Mixed Fruit, Blueberry, Pineapple, Strawberry Banana, and Cinnamon Apple. 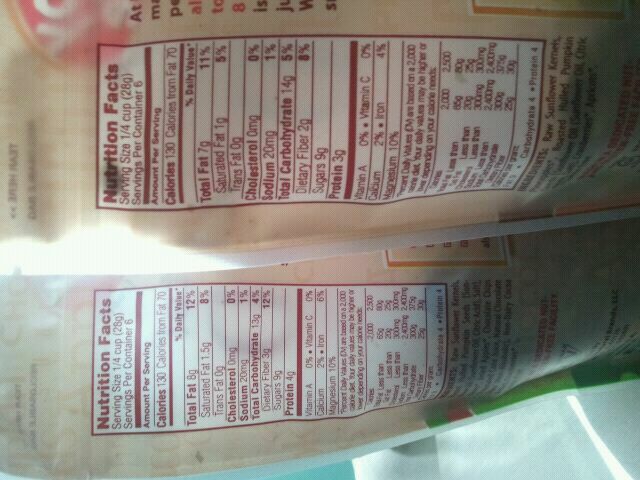 The bags are delicious. I inhaled a bag per day when sampling these, all too easy. Since some of these are repeats (example: the mixed fruit contains banana, apple, strawberry, and blueberry), I am going to write how each fruit tasted. Starting with my favorite, the Grapes. These were beyond delicious. SO sweet, but in a good way, and crunchy. They almost tasted candied! 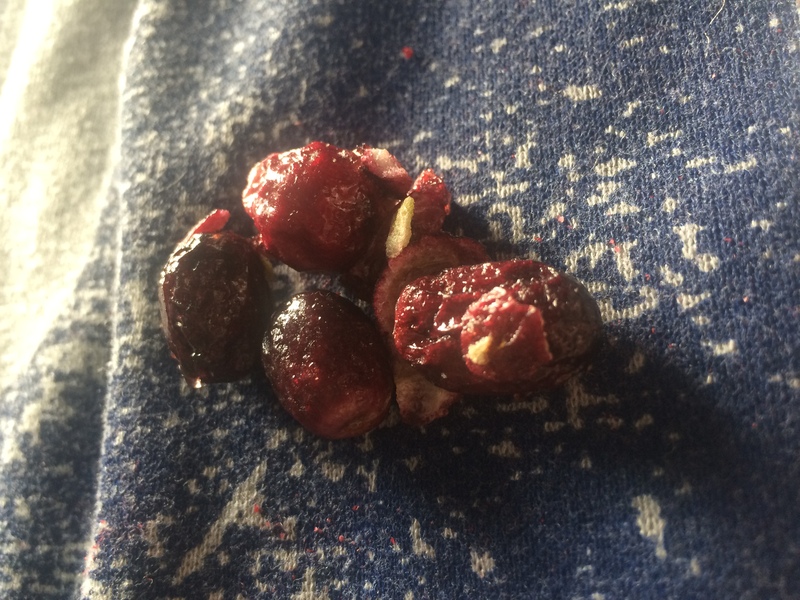 They were the purple grapes, and since freeze dried, also gave off a little bit of a raisin feel. Next up, my second favorite, the Pineapple. 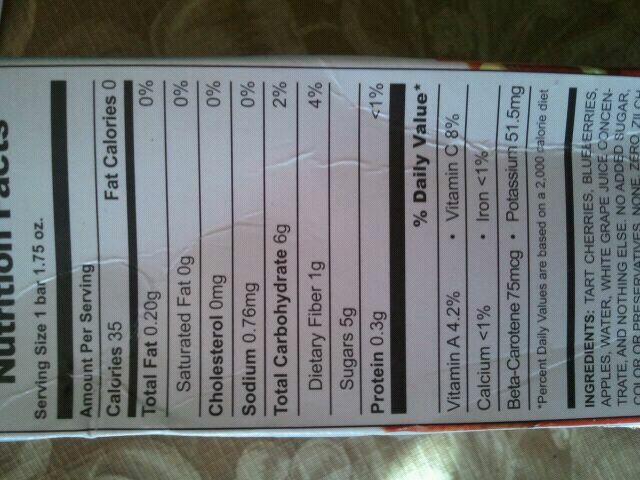 Again, super crunchy, and large chunks of triangular shaped pineapple. Bursting with sweetness, and slight tartness, these were just so good right out of the bag. Imagine fresh, sweet pineapple…without the juice! 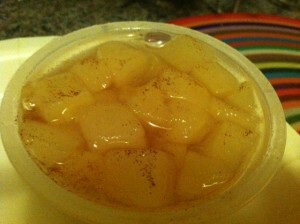 Next up, my third favorite, the Cinnamon Apples. Ohhh so so good! Light and airy, not as “crispy” as the other fruits, but sweet nonetheless. The cinnamon was a perfect accompaniment, and helped bring out the sweetness. I love apples, but every now and then you get a sour one. Not with these! They were super sweet, just like I like them, almost like a Gala apple. Next up, the Blueberries. These I wasn’t crazy about, but was still pretty good. Blueberries can be hit or miss to me, sometimes sour, sometimes sweet, sometimes flavorless. These were mild in flavor, and a bit tart. I think they would be good in a plain yogurt or a cereal. 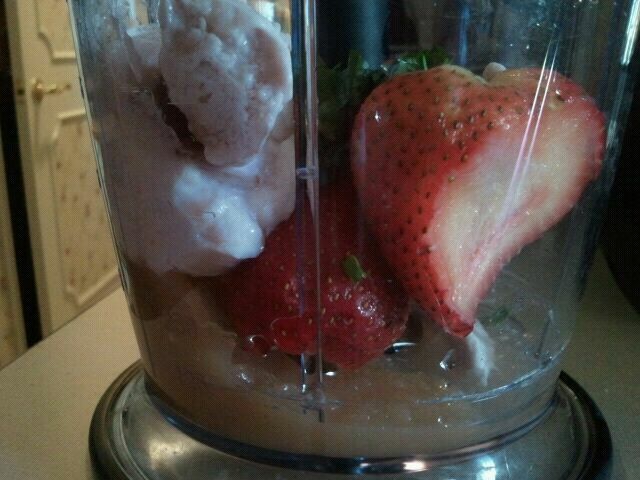 Next up, the Strawberries. These were too tart for me to eat by themselves. 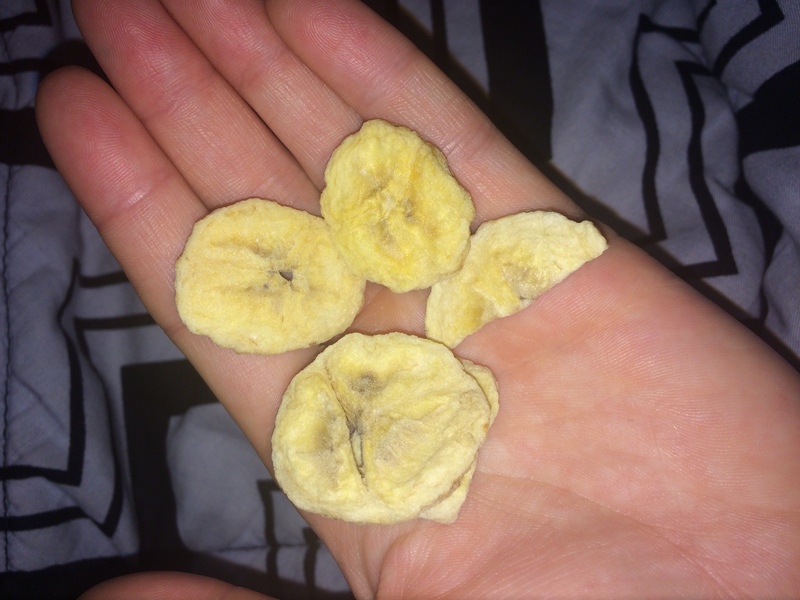 They came alone in a bag, and then also with Banana. 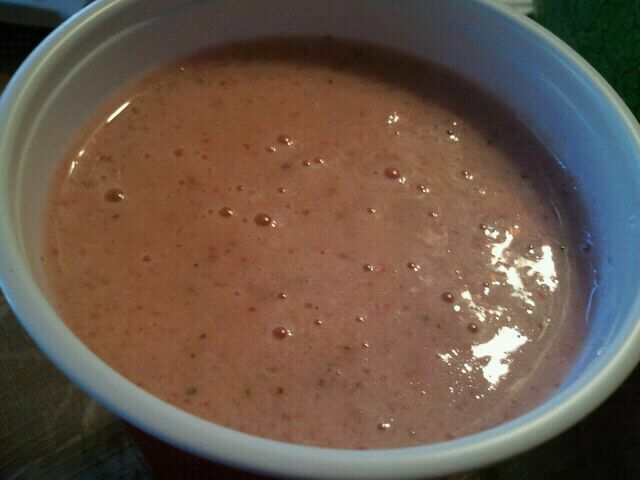 The banana was sweet and mild in flavor, with a slight crunch, and it balanced out the tartness of the strawberries. 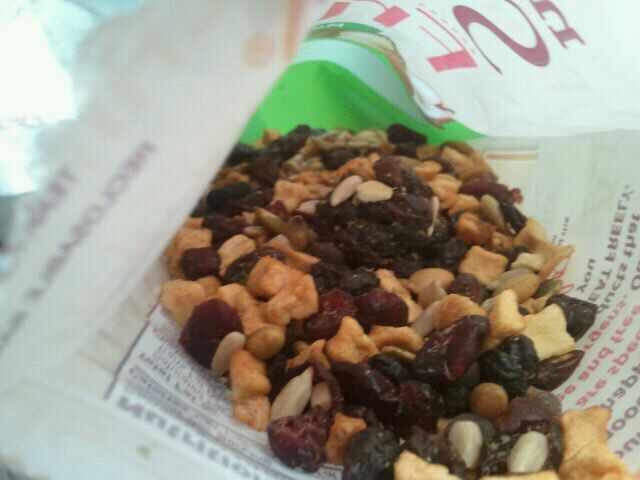 Eaten together, I liked the mixture. Eaten apart, I loved the bananas, but didn’t care for the strawberries as they were too tart. I think they would be better in some cold cereal with milk. Lastly, the raspberries. 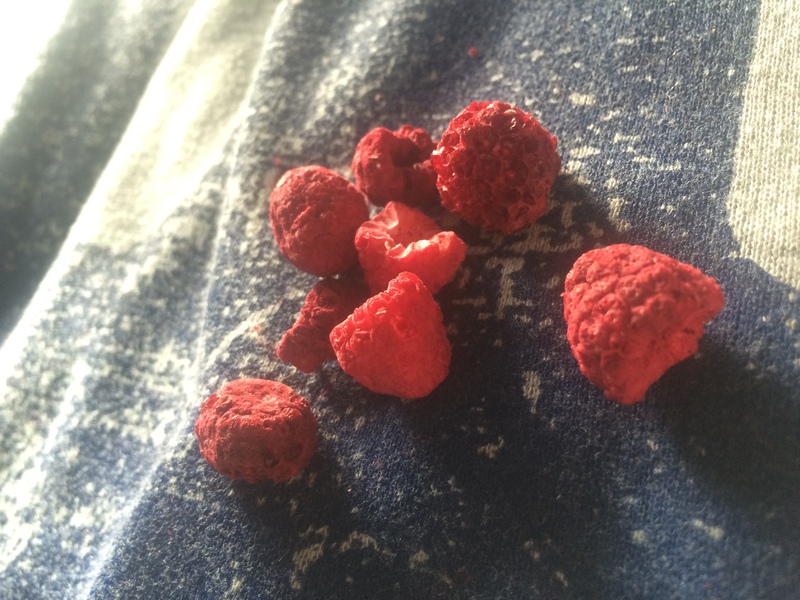 I am not a huge raspberry fan to begin with, and these are essentially identical to fresh raspberries, but without the juiciness. They were too tart for me, and didn’t provide much natural sweetness. I like rasperry flavored things more than I enjoy actual raspberries. My only complaint was that for the mixed fruit and the strawberry banana bags, the strawberries were rather dominant over the other fruit. 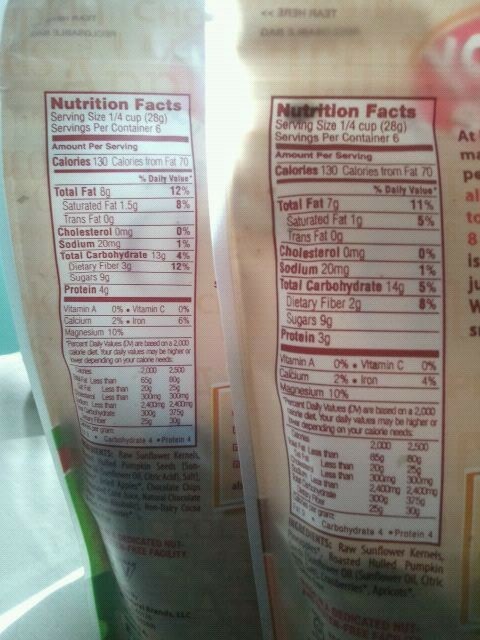 Each bag had about 40 calories per serving with 1/4-1/2 cup serving each. Overall, pretty tasty! 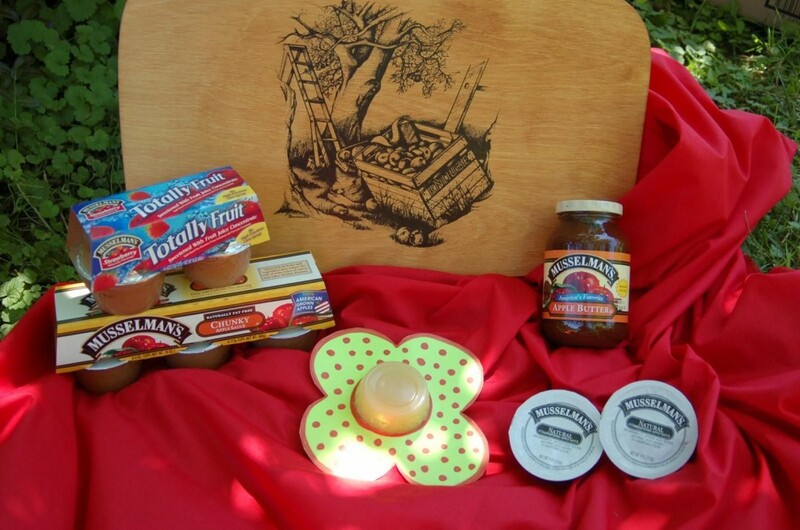 I would love to get more, especially of the pineapple, the apples, and the grapes!! 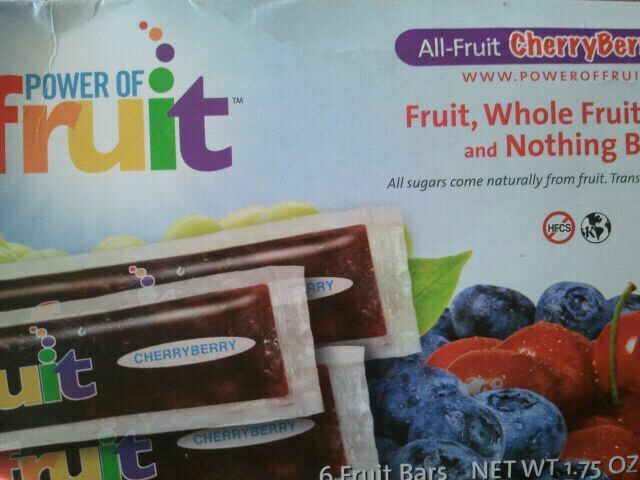 But, ANYWAY, I was contacted by the Power of Fruit and asked if I wanted to try their Berry Cherry Power of Fruit Bar. 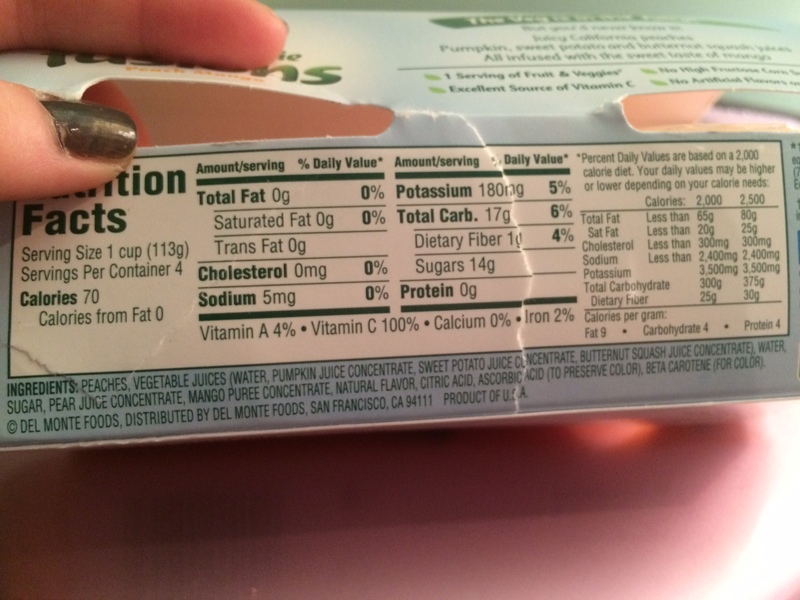 These frozen treats are all natural, and have no added sugar, which I really liked. 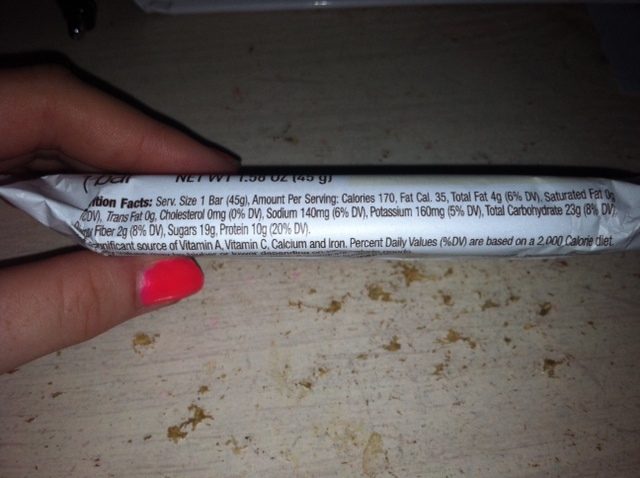 I’m a diabetic, so I try to stay away from sugar as much as possible. Of course, I’m not saying I never took a spoonful of icing straight from the container (tell me I’m not the only one who does that…. 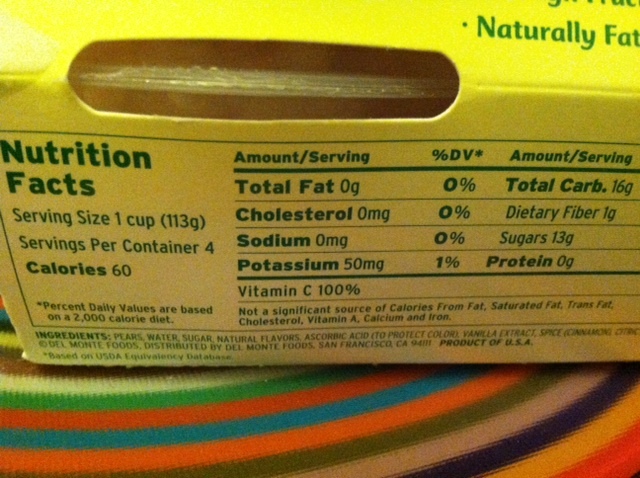 ), but when given the option for natural sugars from fruit rather than added sugar, I’m all for it! 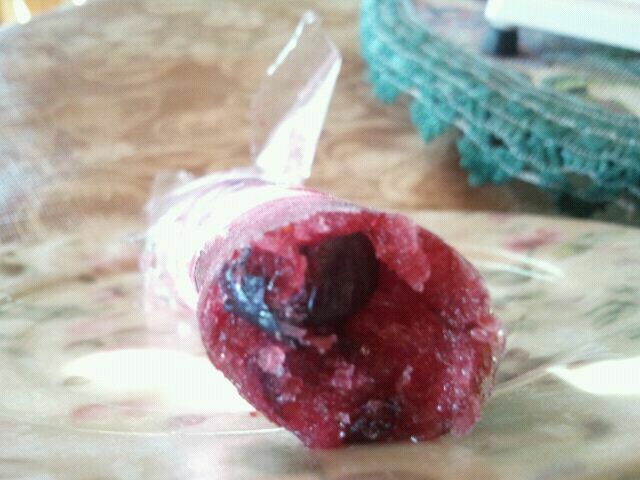 Here’s a pic of the fruity ice pop after a bite was taken. You can actually see a blueberry! The bar looked pretty tasty, and as you can see it was a deep purple/red in color and rather thick. I took a bite, and the first thing I thought of was how tart it was! 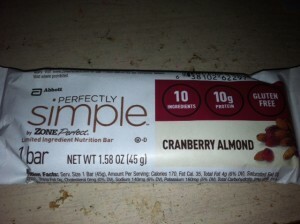 At first I thought it was pretty good – not too sweet, and pretty fruity. As I ate it though, I thought it was just ok and didn’t like it as much. It had mostly a cherry and blueberry flavor, but they didn’t seem like they had the same luscious flavor as they would straight from the carton or bag. The pop was also just too icy in consistency for me (another friend of mine who took a bite agreed) and I actually wish it was sweeter. 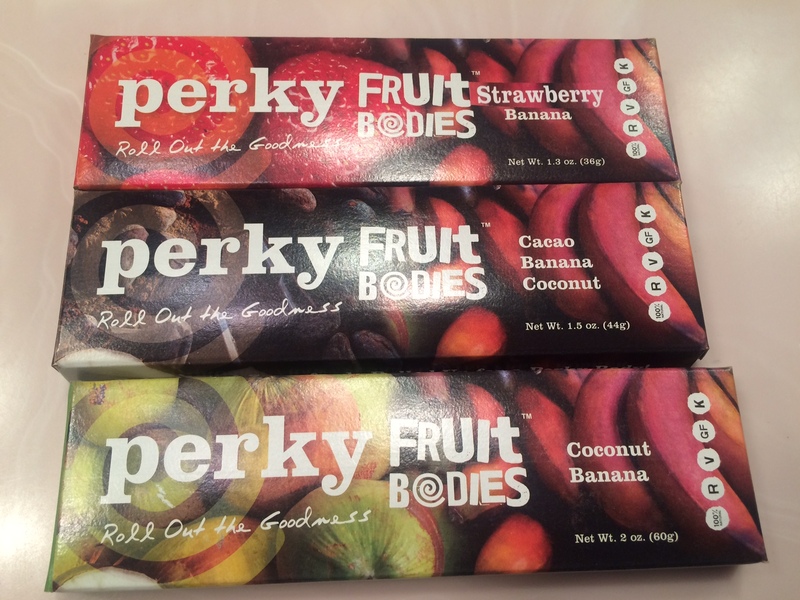 I was provided these fruit bars to try for free from the company.